Theme pool with temple atmosphere. 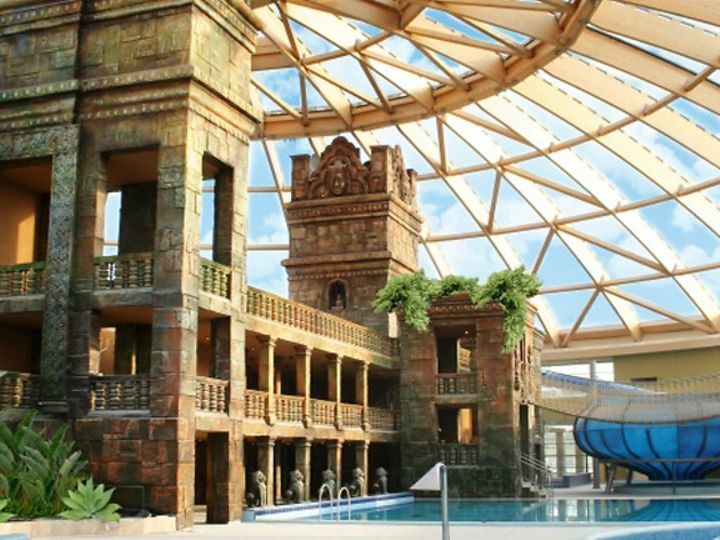 Aquaworld Budapest is the largest facility of its type in Central Europe with capacity for up to 1,800 bathers and 15 water attractions of various types, ranging from a massage pool to a children’s and wave pool and - yes - one of the few surfing basins in Europe. 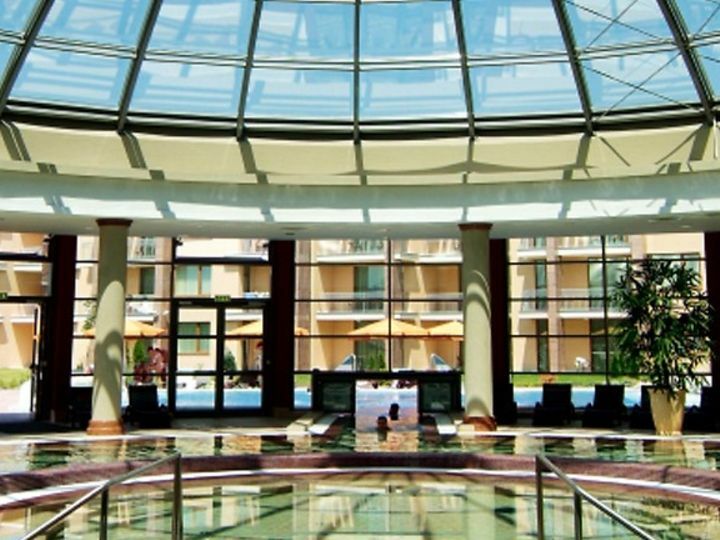 The bathing temple is part of the luxury and wellness hotel Ramada Resort. The wavily curved four-star hostelry offers 261 rooms, of which 28 are junior suites, eight are suites and two are truly luxurious presidential suites. dormakaba's contribution to the ambience of this luxurious complex takes the form of door closer systems of the ranges TS 90 to 93. The company also supplied the PHA 2500 panic hardware system and the TV 500 electronic keep for the emergency exits. Lever handles, Studio Rondo glazed door fittings for the bathrooms and MOVEO operable partitions complete the package.